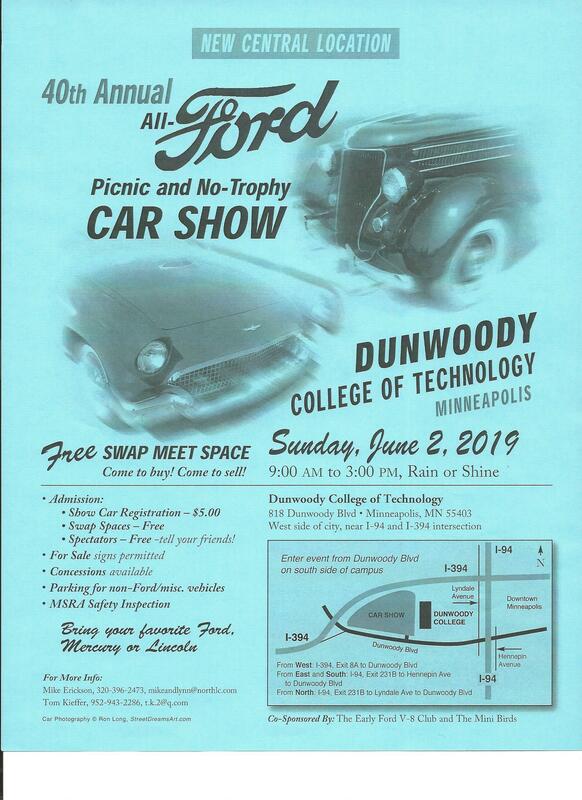 Bring your favorite Ford, Mercury, Lincoln, or Edsel. Parking available for non-Ford vehicles. Co-sponsored by The Early Ford V-8 Club and The Mini Birds.